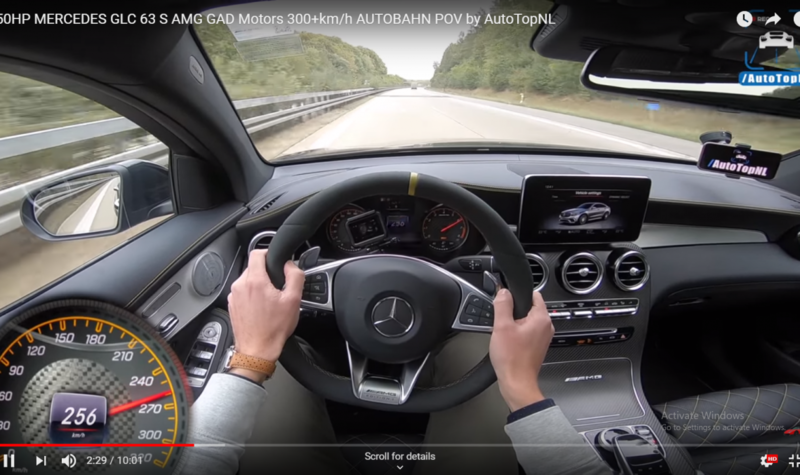 A Mercedes-AMG GLC 63 AMG with 950 horses! Yes, you read that right. Powerful like a Ferrari LaFerrari, this Mercedes-AMG GLC 63 is like no other SUV and accelerates as fast as the Italian supercar. The Mercedes-AMG GLC 63 Coupe normally develops 510 horsepower, thanks to a twin-turbo 4.0-liter V8 engine. A power that already allows it to establish itself as the fastest SUV in the world on the Nordschleife. But once passed through the workshop of GAD Motors specialists, the German SUV suddenly claims 950 horsepower and 1200 Nm of torque. Values ​​worthy of the most violent supercars on the planet!